IT IS ALMOST MAY. But I'll keep my squeals and screams for tomorrow's monthly wrap-up post. Hope you've all had a good week? We finally had some rain, which we've been DESPERATELY needing. We're currently in the midst of a horrendous drought, and so have been on water restrictions etc. I am so desperate for rain and cold weather it's not even funny. I hate hate hate hate hate the sun. I didn't do much reading this week except for finishing Crooked Kingdom and Six of Crows and reviewing them. I buddy read them with Di and we had so much fun. How's your week been? Are you looking forward to May? What have you been reading or watching? Year Published: 2016 - Macmillan Children's Books. Source: Thank you to Pan Macmillan SA for sending me this book in exchange for an honest review! I buddy read this book with the lovely Aneesa @ A Crave For Books. You can read her review HERE. 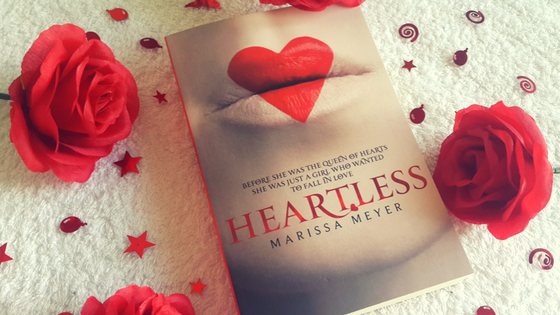 I've never read Meyer before, but considering that The Lunar Chronicles are so popular, Meyer's skill is so renowned, and I love retellings, I thought Heartless would easily win me over. Unfortunately, I was extremely disappointed. But I still liked some aspects. The prose is dreamy, relaxing, and easy to read. It induced a warm, bubbly feeling inside of me, and the delightful humorous moments frequently made me smile. The story is innocent and simplistic, and that soothing lightness effortlessly swept me along. The foreshadowing is excellent. When the horrifying climax finally came, it made the wait seem worth it, and I could appreciate the clues Meyer had scattered in previous chapters. The descriptions of food are AMAZING. I was craving lemon tarts throughout the novel, and Meyer's descriptions of all the sweet treats are absolutely ravishing. Quite frankly, I think I would've enjoyed a book just about the food. Or a Heartless recipe book... (give me credit, please Marissa ;). I loved the ending. Finally, it got exciting and horrifying and SOB, I also cried my heart out. It's an example of the darkness the whole book should have had. But the fact that Heartless is a light, enchanting tale, is also part of my reason for disliking it. It's too light and fluffy; it squanders the dark potential I imagine Wonderland brimming with, and I was disappointed with the lack of "madness". This is a tale about the Queen of Hearts prior to her becoming the Queen, and although this sounds terribly morbid, I expected and hoped for a lot more creepiness, violence, darkness, and chopping of heads. The plot is extremely shallow. On one level, it was relaxing, but I also found it boring boring boring. It took so long for major things to happen and the characters failed to entertain me while I ploughed through. Admittedly, I didn't see the ending coming - that was a big shock - and the story wasn't exactly predictable, but it was just so slow. The setting and world-building are incredibly lacking. It has a sort of Victorian England vibe, but that combined with the fantastical elements just seemed wrong. The world-building is very vague, and I wanted to know more about how the normal people lived and how they earned money and how they ruled and functioned, and all of that was left in the dark. It's fine on the surface, but when I tried to dig deeper into the world I found it hollow. The magical elements of Wonderland felt out of place. They didn't feel natural, and the magical tree growing in Cath's bedroom was an example of this. I just couldn't suspend disbelief - every magical occurance, fantastical creature or bizarre object felt just like that: bizarre. It didn't feel natural; maybe that's also due in part to the Victorian England atmosphere? I don't know. The fantasy just felt forced - like Meyer should've either gone the whole way, or scrapped the magic and made it a Victorian story. Halfway didn't work. The characters are a real mix for me. In general, the supporting cast are stereotypical, boring and entirely unoriginal. Cath's parents irritated me out of my mind, and I wanted to scream at her dad to just stand up to her infuriating mother. He really needed to speak up; it was ridiculous. Jest was a swoony hero, but he wasn't particularly original either. 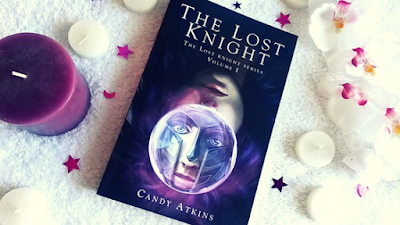 He was sweet and cute and a knight-in-shining-armour, but although his agenda was cloaked in mystery until right near the end of the book, I frequently wanted to scream at him to just "fight for Catherine! You say you love her, so don't give up! Don't let your fear of the King or your embarrassment of your low status let you chicken out!" Yes, he protected her and did all the cliched things a sterotypical prince would do, but I still wanted to kick a unconditional spine into his back. On the surface, I liked the romance. He and Cath are very sweet and adorable together, but they definitely aren't anything amazing. I still can't decide what I think of Cath. She isn't a warrior or a badass, but I found that refreshing at first; her femininity and baking skills allowed her to be a girl with a quiet strength, and initially I liked that. But then her character just went downhill. She started doing stupid things and becoming more and more of a damsel in distress. For example, Jest tells her run when they're attacked by the Jabberwock, but instead she stands there: dumb and blank and terrified. She frequently has to be saved and rescued, and it took till right near the end of the book for her to tell her parents what she really thought about the King, etc. And the King. Oh my gosh. The story would've been a lot shorter if she'd just had the guts to say "no" to his proposal from the start. I wanted to SCREAM at her to just stand up for herself, and it was absolutely infuriating. She could also use a spine. And to show her selfishness, there's the example of the Lion's death. He saved her because she was risking her life in front of the Jabberwock to save the Turtle, and while that isn't bad, her reaction to his death was. She was all sad and mournful, etc, but she never actually admitted that it was perhaps her fault he died! She was so self-absorbed and totally oblivious to her role in his death. It was annoying to say the least. But on the plus side, I really liked watching Cath's insanity take hold towards the end of the book. That was terrific. I just wish she'd had that much personality earlier. I really am torn about this book. On the one hand, Heartless is a dreamy, relaxing tale sprinkled with feeling and humour and overflowing with divine descriptions of food. But on the other hand, its boring, stereotypical characters, shallow plot and ultimately weak heroine make for a mediocre story that I believe totally wasted the rich, dark potential of Wonderland. At the moment my reading schedule mainly consists of catching up on ARCs that I requested or was contacted about reading, Read-a-thons, and finally a couple of backlisted books/my own TBR pile when I can slot them in. I’ve pretty much lined up everything that I am reading until the middle of the year keeping in mind the new releases that I’m about to be reading (ACOWAR 2 May!!!!!!!!!) and commitments that I’ve made. 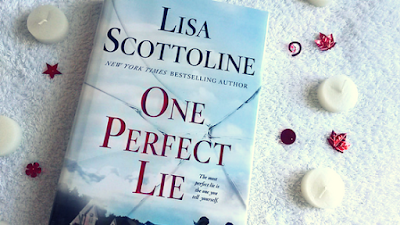 - 1 backlisted book from my own TBR. Probably too much? Although I’m learning to let go a little more. I like to review ARCs before release date if possible and I really try to get reviews back to authors about a month after I receive their books, but I have to admit that I fail dismally at that sometimes. My reading schedule was so jam packed last year and I’m still catching up on review copies for past releases that I’ve received from Indie Authors. My Goodreads challenge this year has just been dismal - I’ve been aiming to hit the 100 book mark for 2017 and all year I’ve been behind. I’m currently behind by 8 books while I’m doing this post. I know I can reduce this number but the fact of the matter is that I’d actually LIKE to hit 100 books (it is called a challenge!) and I need to know where I’m at with that if I am really going to try make the effort to hit that goal. While 100 books might not be a lot for a lot of book bloggers out there when I’m hardly picking anything up under 400-450 pages and I’m busy with a young family AND a full time job it is a LOT for me. So i used to put A LOT of pressure on my reading goals! I’d even make pretty impossible goals and push myself to go get them! Of late I’ve learned to let go of that...or more like forced to let go of that due to exams and more academic stuff. Whatever the reason maybe, I’m glad to have slowed down. When I put too much pressure, reading starts to feel like work and there’s no fun in that is there? But I still do care about my Goodreads Challenge on which I’m currently A LOT behind. But hopefully I’ll catch up to that! I think it’s absolutely okay to have bookish goals as long as they don’t drag you out of your comfort zone. Books = Comfort , so trying to read books just for the sake of numbers at the cost of comfort is no fun. I’m definitely a more analytical reader now and I find myself stopping to take notes here and there when I remember to. I also think I read less than I used to! #sadbuttrue Not all my own free time can be dedicated just to reading - there’s the blog to manage, other blogs to visit, posts to prepare and social media to stalk. My TBR pile is also way more out of control because blogging has led me to visit so many other awesome blogs and read so many amazing reviews of books that I might not have considered in the past! Blogging has definitely changed the way I read. Back before I started blogging, I read purely for entertainment value. Now I’ve started looking at books with a more critical eye and started seeing things I’d ignored before. Before I started blogging, I didn’t even know how important diversity in books are, how sexist some books were and such. After starting to blog and exploring the bookish community on the internet I’ve learnt so much! We hope you’ve enjoyed Part 10 in our series of discussion posts! Please talk to us and let us know YOUR answers below. What do you think of our responses? If you have any specific questions you’d like us to address in the future, please let us know in the comments section below. Stay tuned for next week’s questions! CROOKED KINGDOM - Leigh Bardugo. Year Published: 2016 - by Orion Children's Books. Kaz Brekker and his crew have just pulled off the most daring heist imaginable. But instead of divvying up a fat reward, they're fighting for their lives. Double-crossed and badly weakened, they're low on resources, allies and hope. While a war rages on the city's streets, the team's fragile loyalties are stretched to breaking point. Kaz and his crew will have to make sure they're on the winning side... no matter what the cost. I buddy-read this book with the wonderful Di @ Book Reviews By Di. 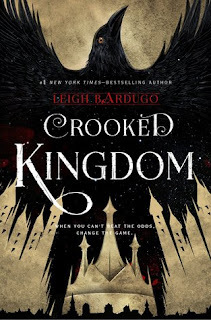 We loved Six of Crows so much that we couldn't resist grabbing up Crooked Kingdom literally as soon as we finished SOC, and although we didn't love it as much as the first book, it was still fantastic. 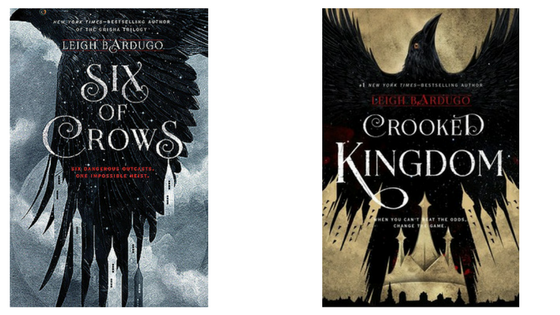 We had such an awesome time chatting about these two books, and definitely plan to read more Bardugo in the future! Check out Di's review HERE. THE LAST PARAGRAPH IS SPOILER-FILLED. Crooked Kingdom picks up right where SOC left off, and I was immediately swept into the action and emotion. The writing's as mind-blowing as SOC, and the story is perfectly paced, brilliantly plotted, and wickedly elusive. The twists are relentless, and I frequently underestimated the characters and the story. Bardugo's skill is unmatched. The climax is especially terrific, and the foreshadowing throughout the story was expertly placed and intelligent. All I can say is wow wow wow. There are plenty of heart-stopping, explosive scenes, but there are also plenty of quieter ones; they strike a beautiful balance, and I was never once bored. The characters are even more fantastic than they were in SOC. My favourites are Kaz, Inej, and Nina, but they're all terrific: I want to hug Inej and Wylan and tell them they're loved, flirt with Matthias to see him blush, joke with Jesper in a life or death situation, be best friends with Nina, and fight alongside Kaz. I love their different relationships with each other and how no one's a small character. And how through them, Bardugo has given fantasy an incredibly important and much-needed diversity. It's almost inevitable that you'll find someone to connect with or relate to. Their back stories are also enlarged on, and I loved seeing more of their pasts come to light. They all grew, made mistakes, learnt from those mistakes, and it was amazing. Third person point of view works perfectly. Each character's voice comes through effortlessly, and Bardugo handles her huge cast flawlessly. There's a lot more romance in CK than there was in SOC. Oh but it's beautiful. The slow-burn of Kaz and Inej's attraction contrasted with the passionate, lovable adoration of Matthias and Nina make for two equally gorgeous relationships, and the romance never once distracts from the story; it's simple, realistic, and completely natural. Bardugo also handled two rather deep and controversial issues through the experiences of two of her characters: namely, drugs and gambling. I thought it was both courageously and tenderly done, and also had a strong punch of realism. But, unlike SOC, it wasn't perfect: hence the 4 flowers. And it seriously breaks my heart. The ending was the issue. Although on the plus side, I thought the moments with Kaz and Inej were beautiful, and I loved that he gave her a ship, she got to see her parents, and there was the promise of a relationship between her and Kaz. But DARN IT. I didn't like the wrap-up/resolution. I thought it was rushed, anticlimactic, and a huge disappointment. Considering the tragic death of Matthias (yes, I sobbed) I wanted more of a tribute to him. Instead, the story glossed over that and sped towards an infuriatingly dry finish that left me feeling cheated. But my biggest pet peeve lay with the unresolved conflict between Inej and Van Eck. She told him earlier in the book that he'd see her again and throughout the book both she and Kaz mentioned hurting him and getting their revenge for what he did to her. But come the end, nothing happened! Yes he was booted off to jail, but the author being Bardugo and what I'd come to expect from the series, I wanted a confrontation or at least a last twist. And yet there was nothing. And if it hadn't been for that, I would've rated the book 5 flowers. Crooked Kingdom is masterfully written, insanely gripping, and led by a crew of characters who simply leap off the pages. But I was hugely disappointed with the ending, and I'm still angry at how a certain aspect was left unresolved. Publication Date: 4th May 2017. The cover's also really awesome. Like, "pretty but with an edge", if that makes sense. 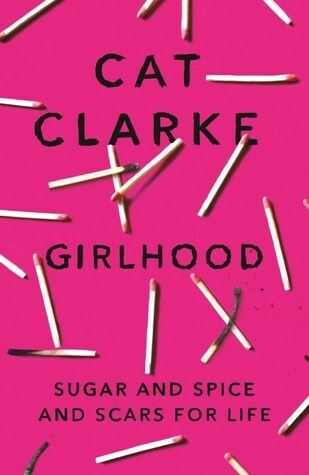 Anyone else excited for Girlhood? Year Published: 2015 - by Henry Holt and Company. I buddy-read this book with the awesome Di @ Book Reviews By Di, and we had such a blast with it! It was our first ever time reading Bardugo, and we were both blown away by her genius. You can read Di's review HERE. The writing is excellent. There's not a single flowery or purple sentence, and every sentence is so rich, deep, profound. The writing is bewitching and intelligent, and I was completely sucked into the story. The world-building is mind-blowing and intricate. The atmosphere's vivid, haunting, and chilling, and the gritty darkness and seething mystery are constantly lurking in the shadows, making me close to begging for the hidden secrets not yet disclosed. The plot's so tight and unpredictable, I found myself literally gaping at the plot twists; so cleverly had Bardugo swept my attention away from what she wanted me to see. It was simply impossible to predict anything. It's not an easy read. It's intelligent and the plot's watertight, but it's not something you can afford to switch-off from. You have to focus and think, and I'm sure I'll be re-reading it sometime in the future to try and absorb what I'm confident I missed during this first read. The dialogue is witty and intelligent (almost too much so...), and sparkles with subtext and vivid characterization. It's entertaining and gripping - like every aspect of the book - and certainly not without humour. And oh the humour. I frequently laughed at the dry, sarcastic wit of the characters, and such quips also offered much-needed warmth in the otherwise dark intensity of the rest of novel. The characters. OH MY HEART. They're all so vivid and three-dimensional and diverse, and so real. My personal favourite was Inej, but as the book progressed I fell in love with all of them - for all their different strengths and weaknesses. Nina and Kaz were probably the only ones who failed to win me over entirely, but I'm sure Crooked Kingdom will change that. There's also a wonderful female friendship between Nina and Inej, which I LOVED. But yeah. The characters were all so beautifully broken and real, and I loved how their backstorys slowly got revealed throughout the course of the story. They were all hiding so much, and Bardugo subtly and masterfully entwined the past with the present. I only had one teensy, tiny disappointment with the book: I wanted more inner conflict between the crew. On the blurb it says "Together they just might be unstoppable - if they don't kill each other first", but I didn't see enough of that. Yes, there was tension between Matthias and Nina, but it didn't take long for them to stop going for each other's necks. I just wanted more conflict between the group. The ending was one of the best parts in the book and I have to mention it. Without giving spoilers, let me just say that if Crooked Kingdom hadn't been within my arm's reach I quite possibly would've started screaming. It was the most perfect, most shocking ending ever, and my shipper heart literally exploded. I ship Kaz and Inej so much it's not even funny. You might feel completely lost at the start of the book. (That was the case with me.) 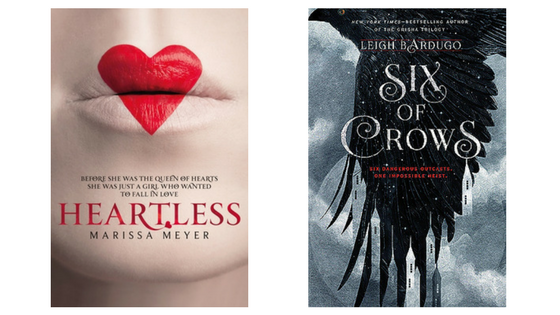 But keep going, and Bardugo will shock you, stun you, squeeze your heart and leave you gasping: in the best possible way. 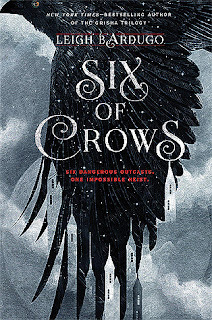 The pounding action, vivid, three-dimensional characters, superb dialogue, strong morals and mind-blowing writing made Six of Crows 100% worth the hype. Di and I raced through Six of Crows and we absolutely loved it! Our reviews will be up tomorrow. 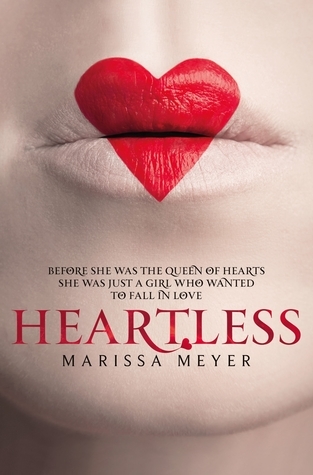 Aneesa and I finished reading Heartless, and our reviews will be up this week. These two beauties arrived this week, and naturally I'm DYING to read them! What are you reading? How's your week been? I think the most important thing about blog layout is that everything is easy to find - that you can easily navigate from page to page and that things aren’t too crowded or visually messy. The first impression that people have of YOU is your blog design and layout and if your blog isn’t visually attractive, how do you get people to actually READ your content? Another important factor is making your blog easy to FOLLOW - after all, what are we all-important bloggers if we cannot be followed and have our voices heard? My own layout is a sort of flowing work in progress - I don’t think I’ll ever be happy with it and I change things whenever I think of something that might make my blog nicer or cleaner or easier to read. I have two sidebars with a central ‘content’ area to allow me to keep all the ‘important stuff’ within easy reach. Hopefully that strategy is working! Of course there’s no fixed way as to how your layout should be or not. Go ahead, edit it and make it “you”. I think the blog design is a way of expression and it should be your very own. Of course you can be inspired by other blogs but don’t try to recreate others’ blog designs. Blog layout = easily navigable and MUST NOT HURT EYES. - Finding a wonderful blog but WHERE IS THAT FOLLOW BUTTON?! - Fonts so fancy that I have a headache! Is there one thing you wish you’d done differently to your blog from the start? There’s been a couple of times (when I’m fighting with HTML or would love to install different plug-ins) that I’ve wondered if I should have gone with a WordPress based blog. I’ve also thought about the blog name itself a few times (however I’m not the most imaginative and haven’t come up with anything I’d rather use at this point!). If you’re looking to start out in blogging definitely consider and research those two things carefully! And if you DO want to change it I’d recommend doing it as early in your blogging career as you can! I can imagine it would be really tough to get hundreds of followers to move over to your new site/blog URL! Okay this is going to sound cheesy but I’m gonna say - no regrets. Sometimes, like Di, I do wonder if i should have started off with a WordPress blog but truthfully I’m content with my blog and how it looks right now. I am kind of having some technical problems with blogger currently but hopefully I can sort that out soon. I think blogging is a learning process and while some things like blog name, platform among others must be decided right at first, it’s perfectly okay to plan everything else as it comes. For example, I didn’t know about Bloglovin until quite later and I learnt a bit of CSS when I had some problems with my layout. Do I wish I’d known about these beforehand? Maybe. Do I regret not having known them? Nope. Other than finding more time to actually devote to blogging and being able to visit lots of blogs all the time, the thing that I’d really love to complete is my blog roll page. At the moment I have a small blog roll in my sidebar but I want to devote an entire page to the blogs that I love and love to follow. Unfortunately I don’t want this JUST to be buttons and a description but I also want it to contain links to the latest posts and graphics etc - so it’s not as simple as it might have been! I also want to create a Reviews Archive page listing all of my previous reviews. Hopefully 2017 affords me the time to get all of the above accomplished! 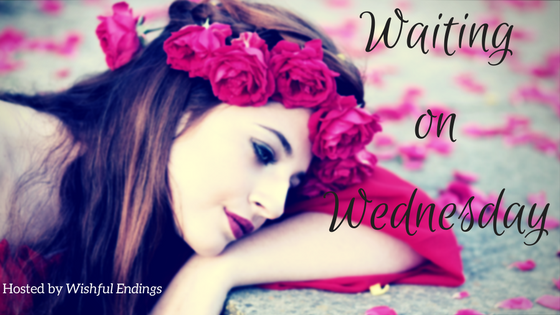 Writing more discussion posts, posting more about writing, and exploring the blogosphere more! I’ve been posting only twice a week lately due to having exams and once that’s over I hope to get back to posting 3-4 times a week. I also want to find new blogs and make more friends. Hopefully I’ll get to accomplishing all of these in the summer holidays! We hope you’ve enjoyed Part 9 in our series of discussion posts! Please talk to us and let us know YOUR answers below. What do you think of our responses? If you have any specific questions you’d like us to address in the future, please let us know in the comments section below. Stay tuned for next week’s questions! Weekly Round-Up: Amazing book mail!